Changes are afoot at Nintendo, with the Japanese gaming giant set to unify its console and handheld divisions into a single entity. So the Wii U and 3DS, or whatever replace them, will be produced by teams sharing knowledge and technology. The aim? To speed up the development process, which could mean a quicker turnover of consoles, as well as slicker interaction between the company's portable and lounge-based gaming systems. Which has to be a good thing for gamers. Nikkei reports that the move is the biggest organisational change in Nintendo for nine years, and will happen in the next month. Nintendo is said to be pumping $340 million into the merged operation, opening a new development facility in Kyoto by the end of this year. 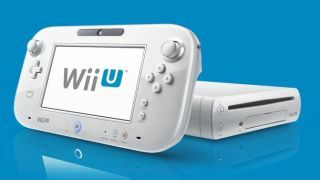 The company has been struggling of late, with both the 3DS and Wii U not performing as well as it would have liked. It posted its first ever loss at the end of the last financial year, dropping more than $530 million. In the first half of this financial year, sales were down 7 per cent compared to the year before. Net income was also way down, so it has a lot to do if it wants to turn around its fortunes.